Last night I braved a 3 hour trip in the cold and wet to go 25 miles to pick up my first Apple TV. 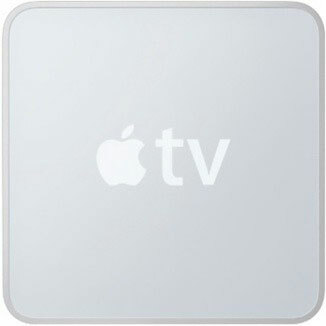 It is the First Gen Apple TV with the 40GB hard drive and it was cheap (tis the only reason I did it). My intentions and reasoning behind getting the Apple TV is to replace a Mac Mini I have hooked up to our entertainment system where we house all of our media files (ie. music, videos, access to Hulu and....) as well as the (gasp) Windows Media Center system we also have setup in another room. This being the first time I have gotten my hot little hands on Apples multi-media center I had to set up the Apple TV and play with it in a vanilla state. Needles to say I was relatively unimpressed. and stereo out (red, white). Plug it in to the wall and it fires right up. Setting up the shared music from the iMac homework machine was as simple as typing in a 5 numerical code and we were jamming to all of our music saved on the iMac. A good amount of our Video files are in Divx and Xvid format (backup's of our DVD collection) its much easier than finding the DVD if you have it stored on a hard drive somewhere. I almost never (he, he, he, ... :) ) impulse buy. I do my research before I venture out especially with "new to me" technology like the Apple TV. Enter in atvusb-creator These guys have written all of the code for you to create a Linux Based flash drive that will be boot up your Apple TV and add #SSH support install Boxee, and XBMC. After downloading the program on my MacBook Pro mounting the .dmg and running the program letting it create the usb flash on my MicroCenter 4GB flash drive. I installed it in to the Apple TV all of about 10 Min of work. Installed Boxee (Requires a log in... but its free) told Boxee where all of my videos were stored on the network and in about 10 min (Boxee had to search my drives) I was up and in digital bliss, Video Heaven. 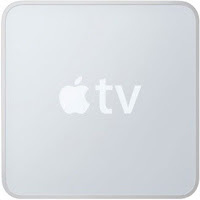 Now the Apple TV is looking more promising.. So in my mind .. maybe the iMac and the Windows Media Center will have to stay..
Go play with them see what you think.